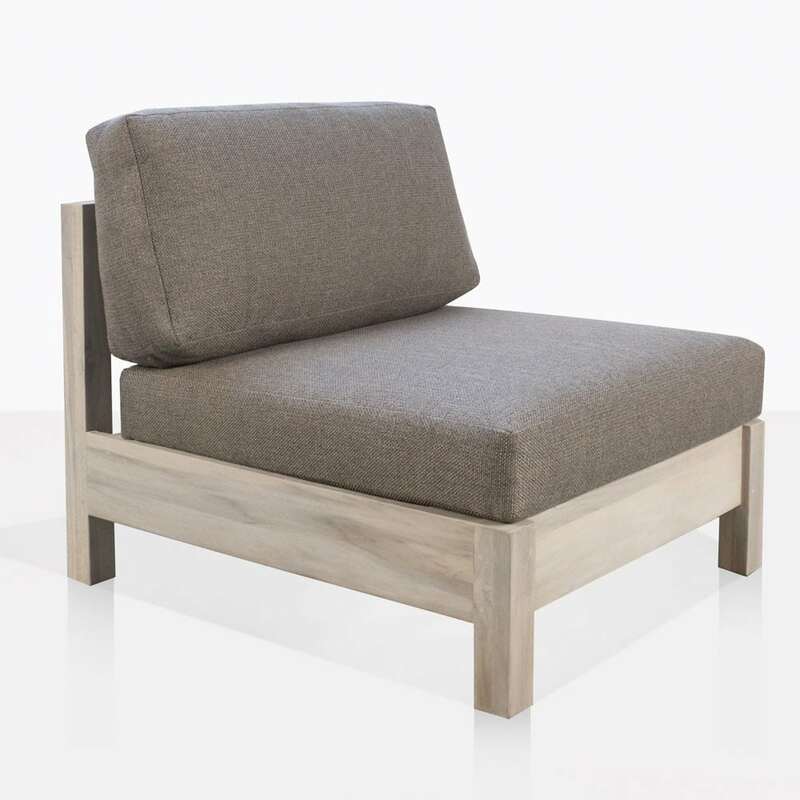 The Kent Street Sectional Center Chair is hearty, classic and graceful. These characteristics balance each other perfectly. 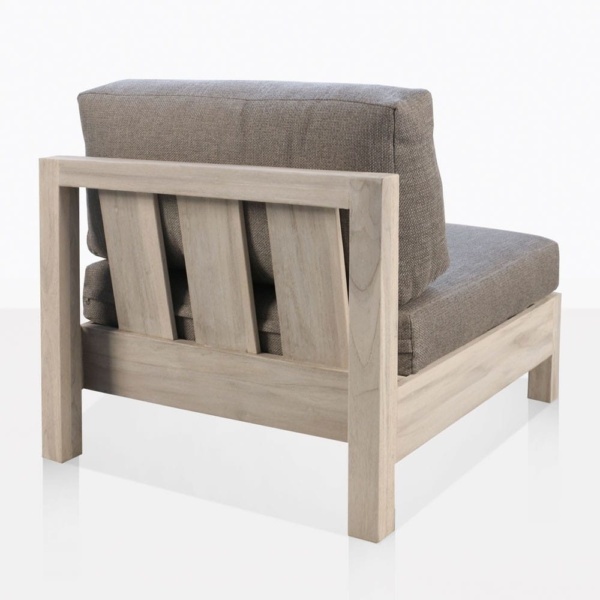 The teak frame is thick and robust without being overly bulky. 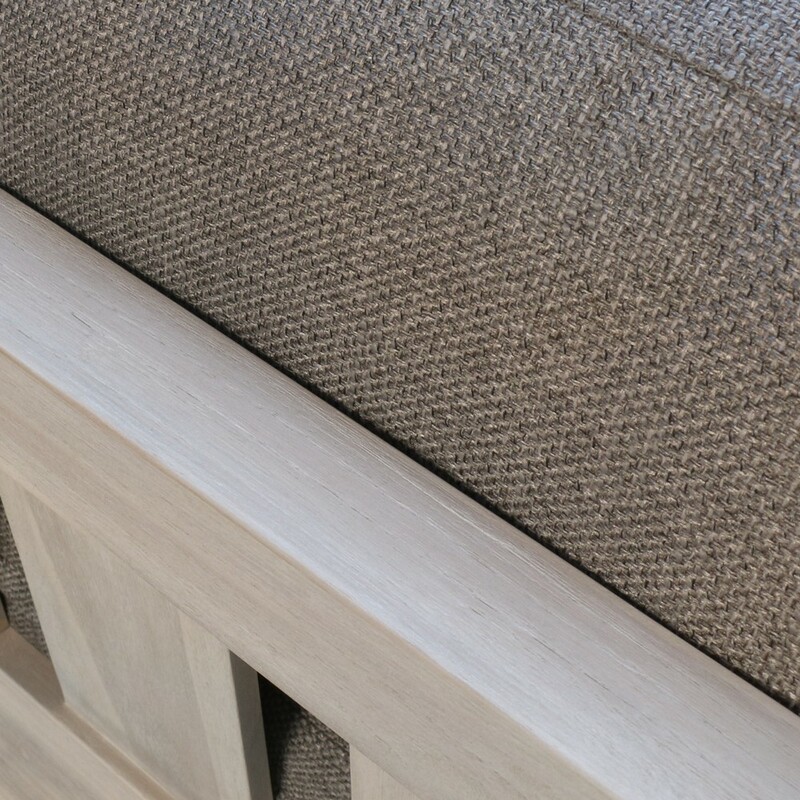 The teak has been washed to a lovely and elegant grey color. Plush Sunbrella® cushions are included as shown in a warm grey color with hints of brown. The seat cushion has just the right amount of firmness, and the back cushion is perfect to rest your back on and get cozy. 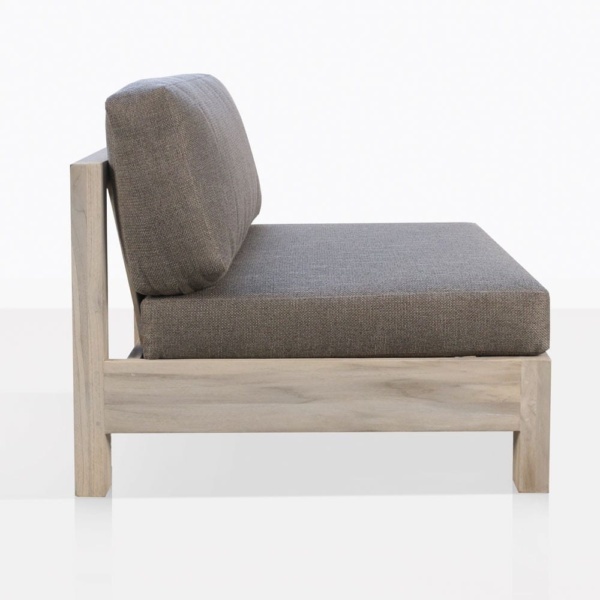 The Kent Street Center Chair can be used on its own as a stand-alone yet substantial chair, or even better it can be paired with the Kent Street Left and Right Arm Pieces to create a lovely long sofa that extends for days. Call us today, and we look forward to helping you configure the Kent Street Furniture Collection to fit your space!